FIFA moved a step closer on Friday to expanding the 2022 World Cup in Qatar to 48 teams and hopes to confirm the plans in June if a suitable co-host can be found. An internal feasibility study supporting the expansion, which is being strongly pushed by president Gianni Infantino, was given full backing by the FIFA council in Miami. A final decision will now be taken in Paris on June 6 after FIFA and Qatar jointly submit the names of potential co-host nations to the governing body’s Congress. Infantino, who also confirmed a new Club World Cup with 24 teams will begin in 2021 to replace the Confederations Cup, told a press conference: “You have in front of you a happy FIFA president. “I am always happy but especially today because we have taken some important decisions. “We came to conclusion, yes it’s feasible to move from 32 to 48 teams at the World Cup provided certain conditions are met. The move away from the traditional 32 teams which will see 80 matches instead of 64 — the notion was originally slated to come into effect for the 2026 tournament in North America — means one or more other countries will be asked to help Qatar stage the shortened 28-day event which is scheduled to kick off in November 2022. Bahrain, Kuwait, Saudi Arabia, Oman and United Arab Emirates are all potential options yet rancorous diplomatic disputes has led to the tiny Gulf state being politically isolated from many of its former allies. Bahrain, Saudi Arabia and the UAE will need to end their diplomatic blockade of Qatar launched in 2017 if they want to be involved, FIFA’s feasibility study said. Analysts expressed scepticism, however, that regional acrimony can be overcome to enable Infantino’s hoped-for expansion. “The Gulf Crisis is not going to solved by playing football,” said James Dorsey, a researcher at the S. Rajaratnam School of International Studies in Singapore. The Qatari organising committee for the 2022 World Cup meanwhile gave a lukewarm response to Friday’s decision, saying organisers would continue planning for a 32-team event. “We will work with FIFA to determine whether or not a viable operating model does exist and importantly, whether it is in the best interests for football and for the tournament, and for Qatar as the host nation,” a spokesman for Qatar 2022 said. FIFA, meanwhile, have been told that the leading European clubs will boycott a Club World Cup expanded to 24 teams in 2021 which was also given the go-ahead at the meeting in Florida. 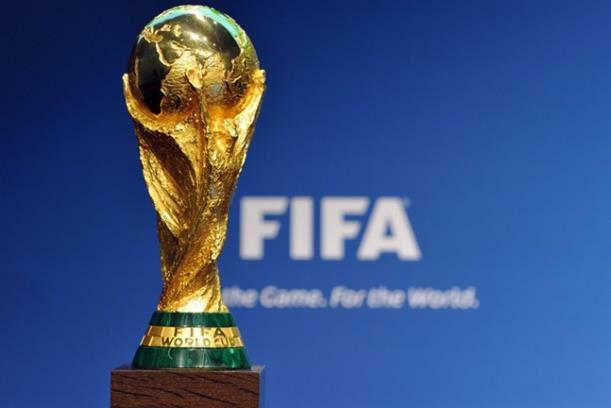 A 17-page report distributed to the 37 members of FIFA’s ruling body calls for the new tournament to take place between June 17 and July 4 2021, replacing the Confederations Cup international tournament. Infantino called the decision to move ahead with the plans an “important milestone for world football” and expects no problems moving forward. “We should enjoy what is coming,” he said. But the European Club Association (ECA) said leading European clubs would boycott the event. UEFA also confirmed Europe had voted against the new tournament at Friday’s meeting. There was also confirmation from FIFA that the video assistant referee system (VAR) will be used at the women’s World Cup this summer.